In 2014, 199 558 export transactions were reported, slightly less than 202 574 reported in 2013. The majority of the transactions reported in 2014 were re-exports (89%). 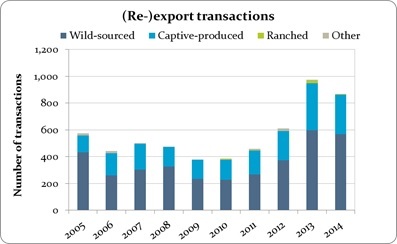 Similar to 2012 and 2013, transactions involving trade in captive-produced or artificially propagated commodities (source A, C, D and F) accounted for half of export transactions, while 46% of transactions related to wild-sourced trade. The majority of transactions were for commercial purposes (88%). (Re-)exports from Member States in 2014 involved 1649 taxa, of which 46% were plants. Number of EU export transactions reported by EU Member States by source, 2005 – 2014. ‘Captive -produced’ includes source ‘C’, ‘A’, ‘D’ and ‘F’; ‘Other’ includes source ‘O’, ‘U’ and trade reported without a source. Proportion of export transactions reported by EU Member States by purpose in 2014. ‘Other’ includes purpose ‘B’, ‘E’, ‘G’, ‘M’, ‘N’, ‘Q’, ‘S’, ‘Z’ and trade reported without a purpose (n=94 955). The most highly traded commodities (based on quantities in trade) were bird medicine, live plants, reptile small leather products and live fish eggs. All bird medicine trade involved Cairina moschata (Muscovy duck). As this species was removed from the CITES Appendices on 10/03/2016, trade in this species is not discussed further in this section. Commodities by group (re-)exported by EU Member States at quantities greater than 100 000 units in 2014, ordered by quantity (as reported by (re-)exporters). Quantities have been rounded to the nearest whole number where appropriate. *↓ signifies decrease in trade in 2014 compared to 2013; ↑ signifies increase in trade in 2014 compared to 2013. ** All trade in medicine from bird derivatives was in Cairina moschata which was removed from the Appendices on 10/03/2016. The sections that follow provide further details of trade in commodities (re-)exported at quantities greater than one million units in 2014. Over 3.5 million live plants were (re-)exported by the EU in 2014, primarily for commercial purposes (71%). The majority were artificially propagated (90%) with the remainder wild-sourced. 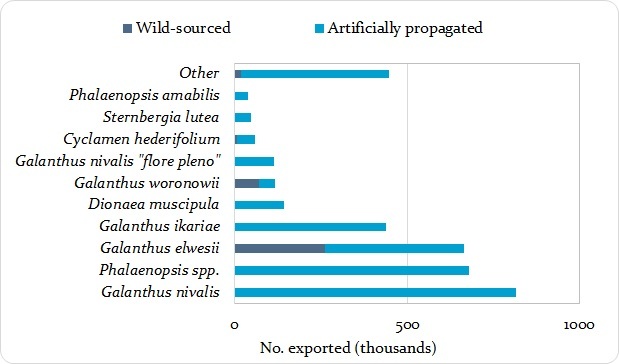 Of the 737 plant taxa reported in trade, 88% were Appendix II-listed. North America was the main region of destination of exports of live plants from the EU (41%); with the United States the principal destination country, accounting for 38% of total live plants exported from the EU. (Re-)exports of live plants by EU Member States in 2014, by CITES region of destination and source. ‘Artificially propagated’ includes source ‘A’ and ‘D’. “Europe” excludes EU Member States. Excludes 35 311 live plants reported with destination unknown. The main EU (re-)exporter of live plants was the Netherlands (97%). Direct exports from EU Member States comprised 76% of all exports while virtually all EU re-exports originated in Turkey. Sixty per cent of live plants exported comprised Galanthus spp. (Snowdrops) of which 15% were wild-sourced. 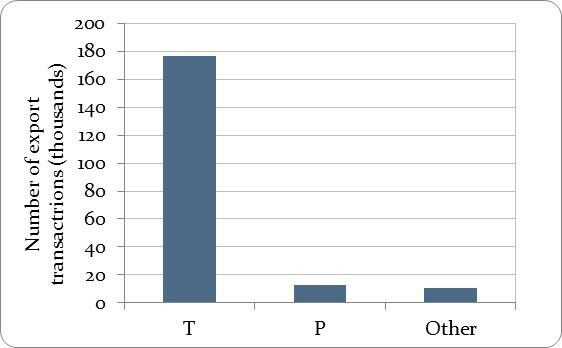 A further 21% of live plant trade was in Phalaenopsis spp. (Moth orchids), all of which was artificially propagated. Top 10 plant taxa (re-)exported as live plants from EU Member States in 2014, by source. Over 2.3 million small leather products were exported by the EU in 2014, of which 81% were wild-sourced and the vast majority (99%) traded for commercial purposes. 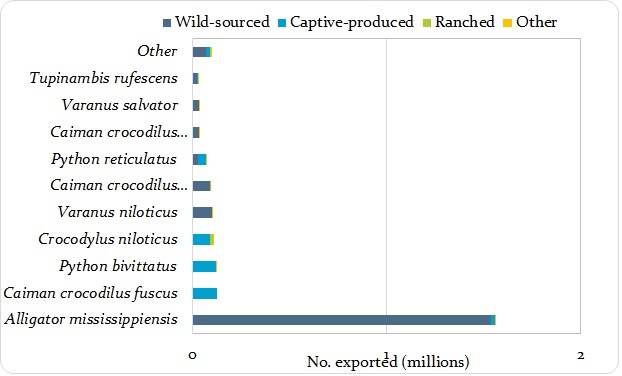 Alligator mississippiensis (American alligator) accounted for 66% of exports, almost all of which were wild-sourced and originated in the United States (98%). Top 10 reptile species (re-)exported as small leather products by the EU in 2014. ‘Captive-produced’ includes source ‘C’, ‘D’ and ‘F’. Other includes source ‘U’, ‘O’ and trade reported without a source specified. 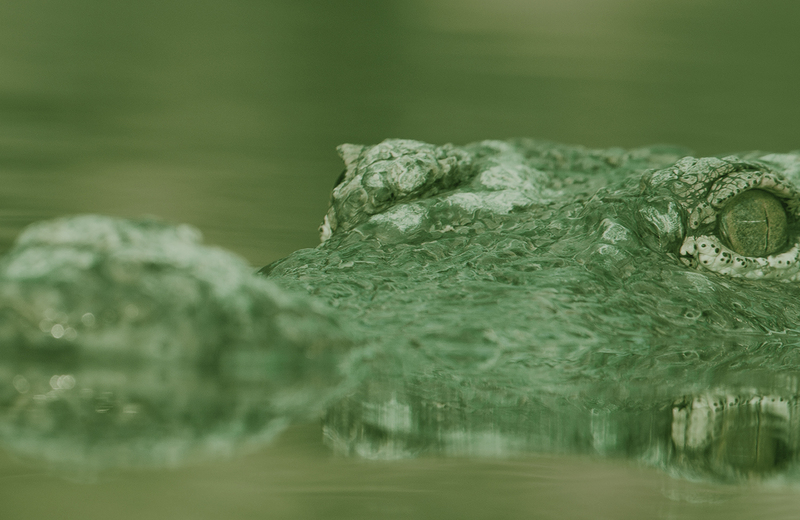 The main destination region of reptile small leather products was Europe (excluding EU Member States; primarily Switzerland), accounting for 60% of trade. Virtually all of the trade comprised re-exports; the United States was the main origin country accounting for 66% of all re-exports. 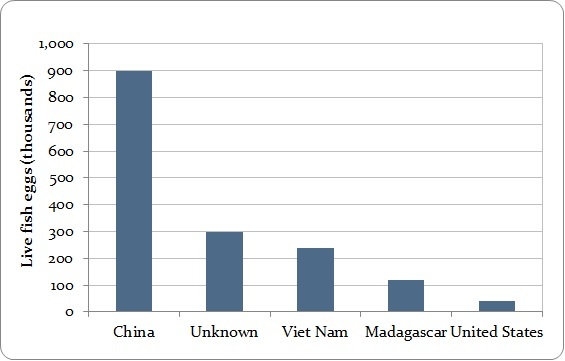 (Re-)exports of reptile small leather products by the EU in 2014, by CITES region of destination and source . ‘Captive-produced’ includes sources ‘C’, ‘D’ and ‘F’; ‘Other’ includes source ‘O’, ‘U’ and trade reported without a source specified. “Europe” excludes EU Member States. Excludes 648 small leather products reported without a destination country. All of the 1.6 million live fish eggs exported by the EU in 2014 were sturgeon; 81% were captive-bred, with the rest reported without a source specified. The majority of sturgeon eggs were exported to Asia (71%), 56% of which were exported from France to China. Trade of live fish eggs comprised two species, Acipenser baerii (Siberian sturgeon) and A. gueldenstaedtii (Russian sturgeon). Exports of live fish eggs were also reported by weight (118 kg). EU exports of live fish eggs in 2014, by destination country. Excludes trade reported by weight. Over 850 export transactions were reported by the four candidate countries who submitted annual reports in 2014, of which two thirds involved wild-sourced commodities. Numbers of export transactions increased over the period 2005-2013, but decreased 11% from 2013 to 2014. The majority of export transactions in 2014 were for commercial purposes (93%) and the top exporter in 2014 was Turkey (85% of transactions). Number of (re-)export (right) transactions reported by the countries that were EU candidates in 2014, by source, 2005-2014. ‘Captive-produced’ includes sources ‘A’, ‘C’, ‘D’ and ‘F’. ‘Other’ includes sources ‘O’ and ‘U’ and no source provided. The most highly exported commodities by candidate countries in 2014 were live plants, with over 20 million plants exported; the majority of which were wild-sourced (78%). All live plants were exported by Turkey to the Netherlands for commercial purposes; 45% originated in Georgia and the remainder were exported directly. Relatively smaller quantities of mammal, reptile and fish commodities were also reported exported by Turkey, FYR Macedonia, Serbia and Montenegro. Commodities (re-)exported by candidate countries at quantities greater than 1000 units in 2014, ordered by quantity (as reported by (re-)exporters).